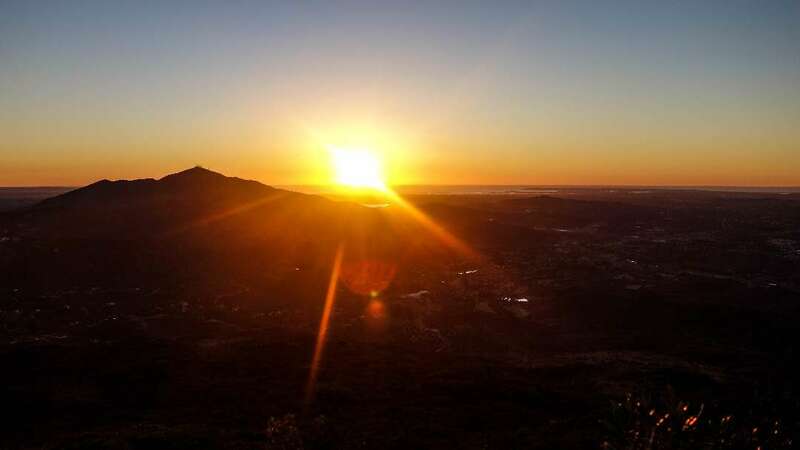 The hike to the summit of McGinty Mountain starts at the parking lot trailhead on Jamul Dr. The signage notifying visitors to stick to the beaten path should be paid attention to. There are no signs or trail markers once you leave the trailhead and the trail has a lot of connecting trails, so it’s easy to get confused. Pay attention to the turns you make and stick to the widest trail and you should find your way to the summit without any trouble. 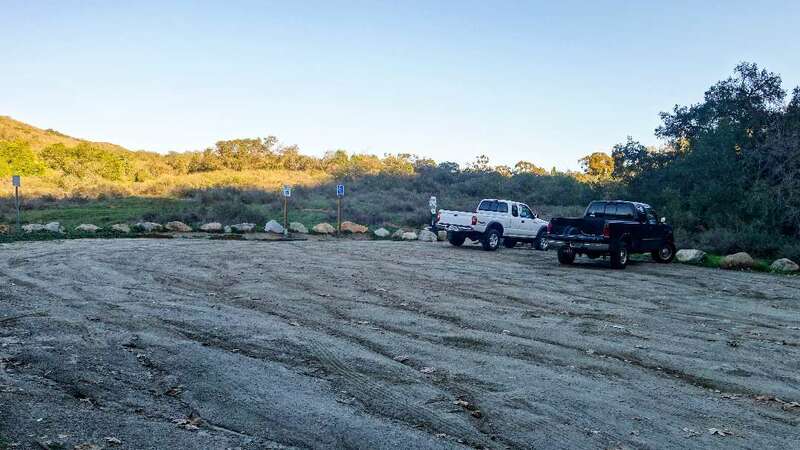 McGinty Mountain trailhead parking lot. 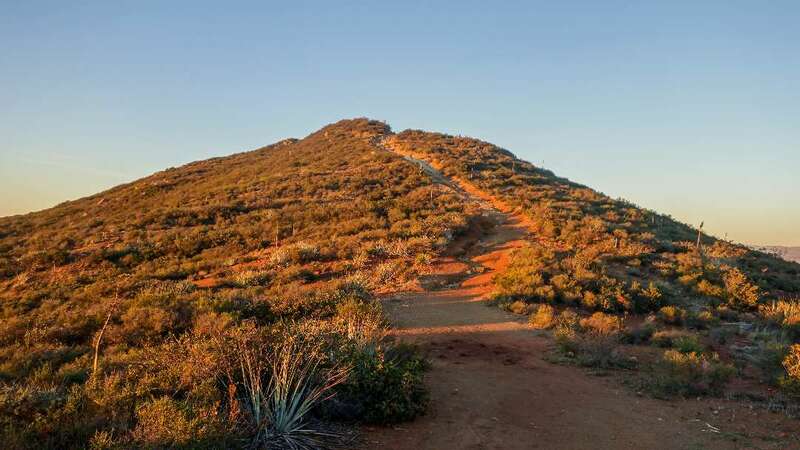 After leaving the trailhead, you immediately begin the 1400 foot climb towards the summit. A series of tight switchbacks guide you up the southwest face of the mountain and out of the valley. 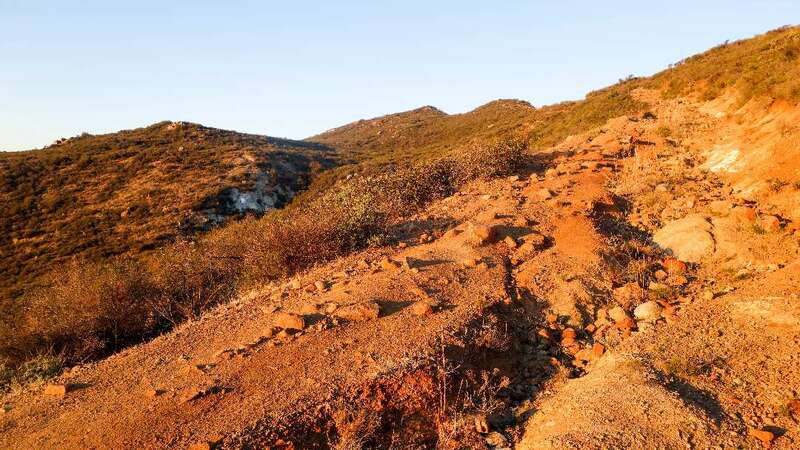 For the first mile, each step you take delivers better views than the last until you finally reach a fork in the trail. Follow the trail to the right and you will have your first of many truly amazing views of the surrounding mountains and valleys. Head left at the fork, and your adventure to the summit continues. 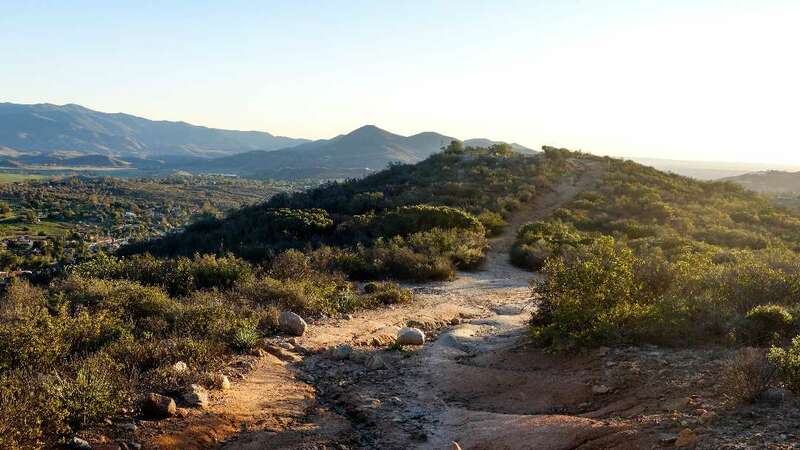 As you work your way up the trail, you’ll come across a number of connecting trails. Other hikers have reported finding caves on some of these trails. I was trying to make the summit before sunset and didn’t have the time to take any of the side routes. But if you’re looking to add a little extra adventure to the trip, consider doing some exploring and see what you can find. You’ll also pass a couple of false summits on your way to the top, so just keep on trucking and you will soon arrive at your destination. McGinty Peak becomes visible at around the 2 to 2.25 mile mark as you cross over a ridge. Looking up from this point, you will see two peaks not too far in the distance to the northeast. Continue making your way up for the last ascent to the summit. McGinty’s summit in the distance on the last ascent. At the top of the hill you come across one last connecting trail off to the right. 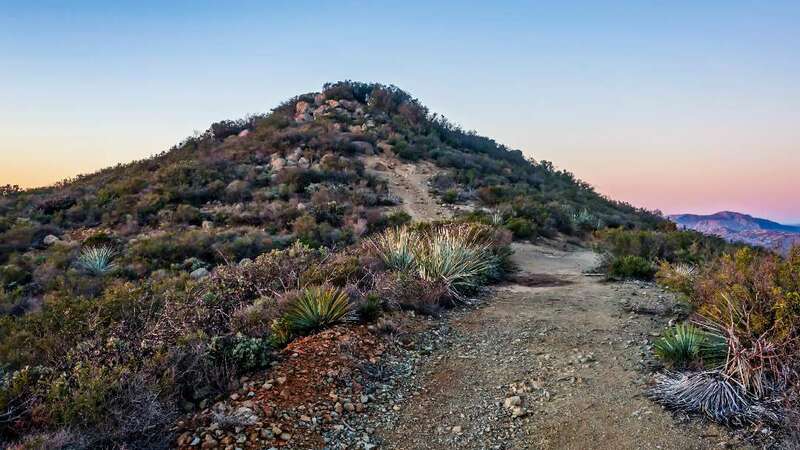 Take a left and cross over the last peak before reaching the summit, which is clearly visible from the trail as a large pile of boulders. Climb on up and grab yourself comfortable boulder to rest on while you take in the sights around you. McGinty Mountain Summit from the trail. 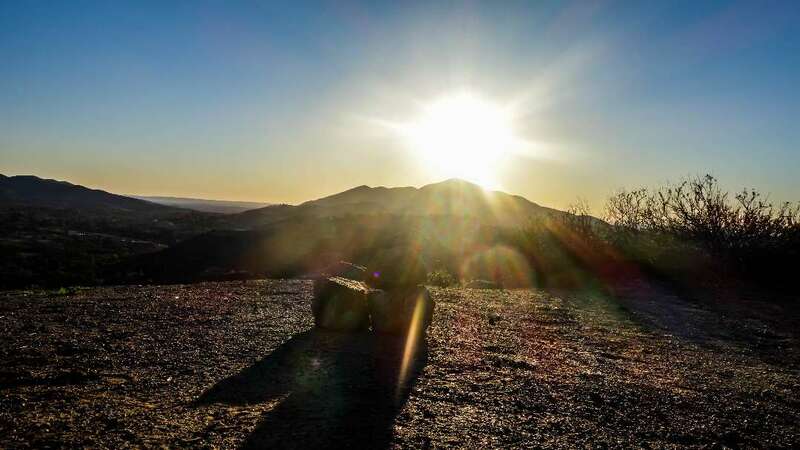 On a clear day, Tecate Peak and Otay Mountain sit tall along the Mexican border to the south. 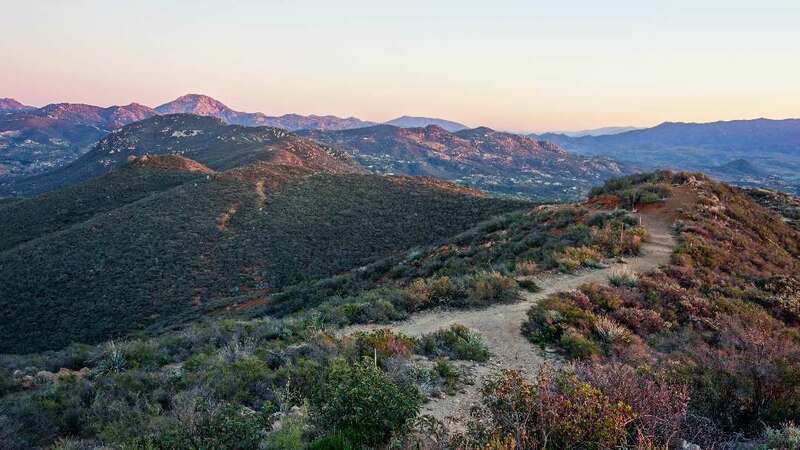 The east side of Otay Mountain is visible here in the top right. 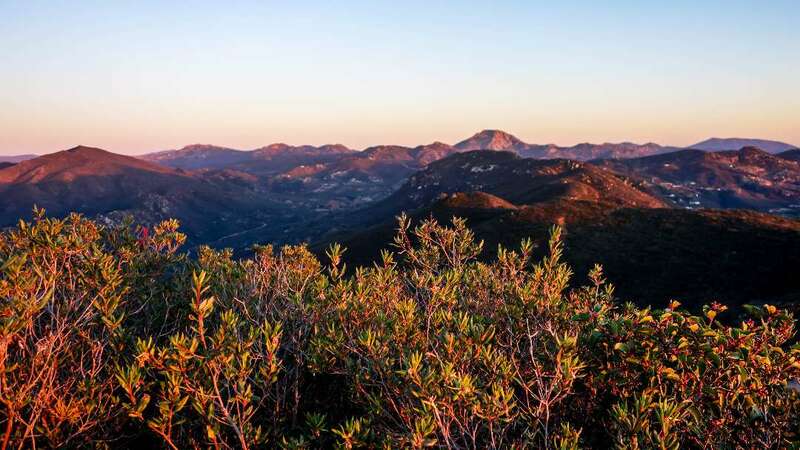 Scan east from north to south across the valleys and mountains for a look at the many peaks that make up Cleveland National Forest. 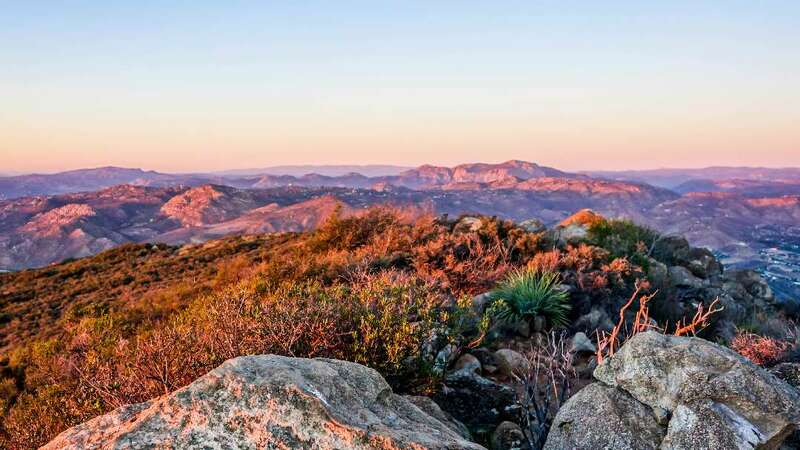 And to the west, San Miguel Mountain stands between you and the ocean in the distance, with Cowles Mountain visible to the northwest. 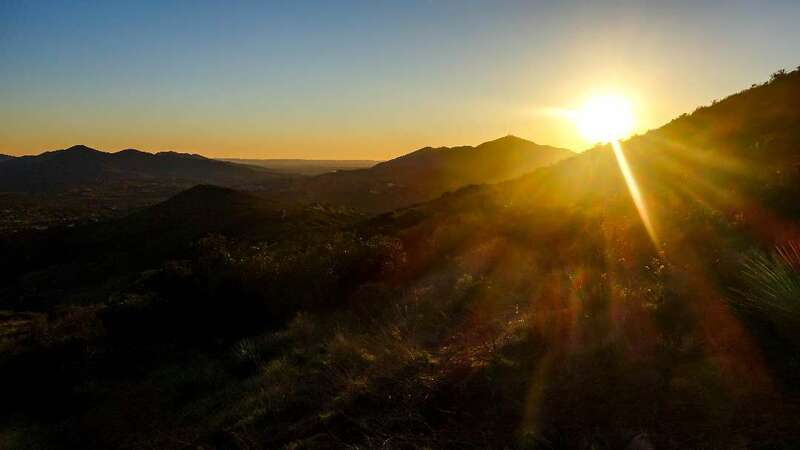 Sun setting over San Miguel Mountain as seen from McGinty Mountain Summit.